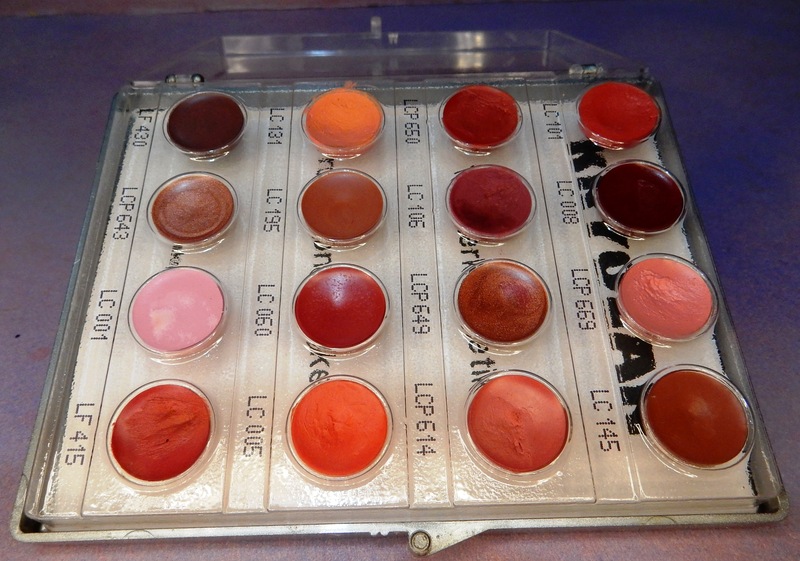 Kryolan products are premium quality professional products. 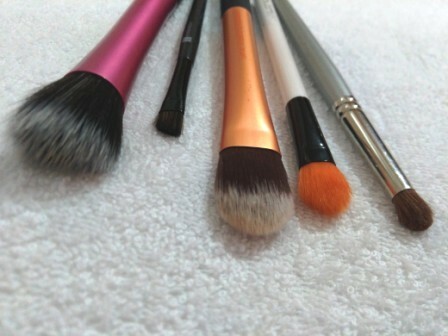 They are extremely affordable, often costing less than even drugstore brands. They are ideal not only for stage, films and television but can be used for regular use as well. Kryolan is a range of professional make up products which is highly preferred by make up artists world over, because of the premium quality, high pigmentation, skin safety and wide range of the products. It is a brand which makes cosmetics specially for television, film and stage use and so all their products are very richly pigmented. At the same time they have been proved extremely safe for the skin and can be used by anyone, everyday. I have been using Kryolan cosmetics for about five years now, and have never once regretted buying anything from the brand. Each and every thing that I have purchased has been an asset to me and I am extremely content with the results. Out of all brands of professional or high end make up that I have ever used, from M.A.C to Urban Decay, Make Up Forever, Nars, Inglot or Bobbi Brown, Kryolan is the only brand which has consistently impressed me. And the best part is, Kryolan Products are extremely affordable and often cost less than a quarter of the price of products from the other said brands! 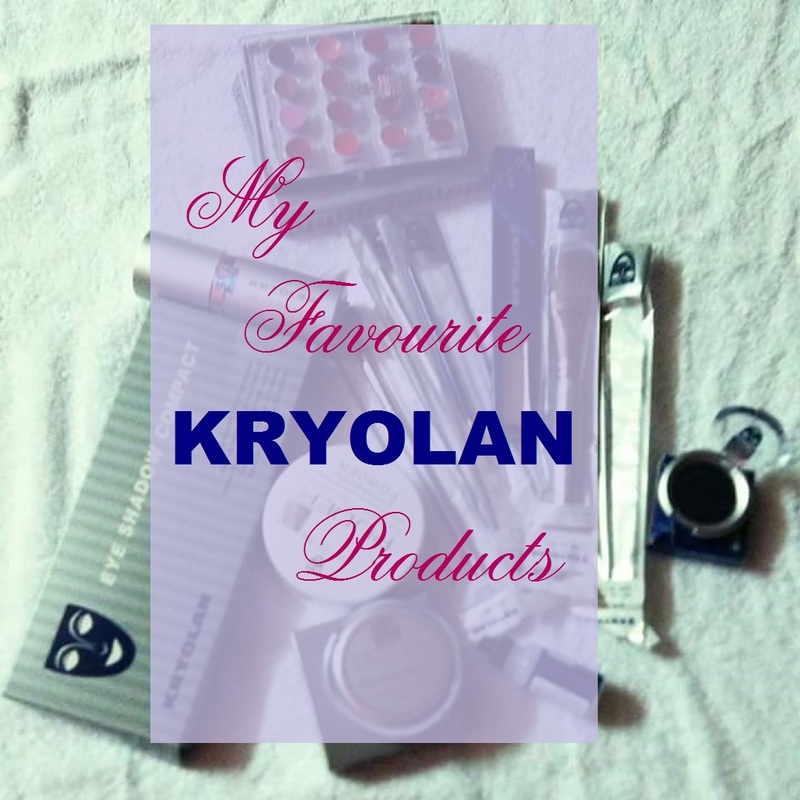 Here are my all time favorite Kryolan products which I absolutely adore ! 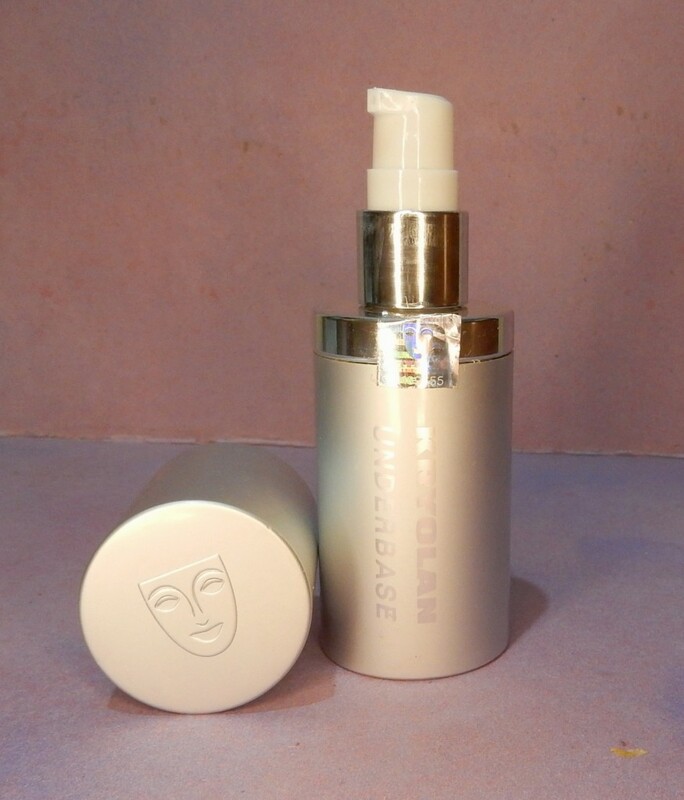 This product is a blessing for normal to dry skin, as it completely preps the skin for foundation. Even if you have oily skin, you can use it in a very little quantity, let it absorb into your skin for five minutes and then blot your face with a dry tissue to get the excess oil out. Applying foundation becomes so much easier on this base. Kryolan TV Paint Sticks INR 1,000 each. 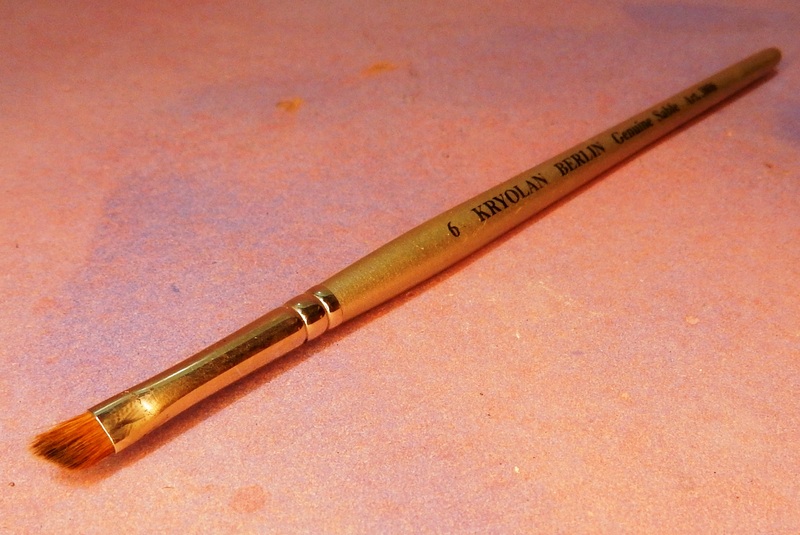 The Kryolan TV Paint Sticks are creme foundations in the form of a stick. These highly pigmented sticks are very easy to blend on the skin and are buildable to full coverage. There are plenty of shades for all skin colors, with pink and yellow undertones. The quantity of product you get in these sticks is enough to last you about five years! But these are recommended, as the name suggests, for film, television and stage use, only because of the humongous quantity of product you get in there. 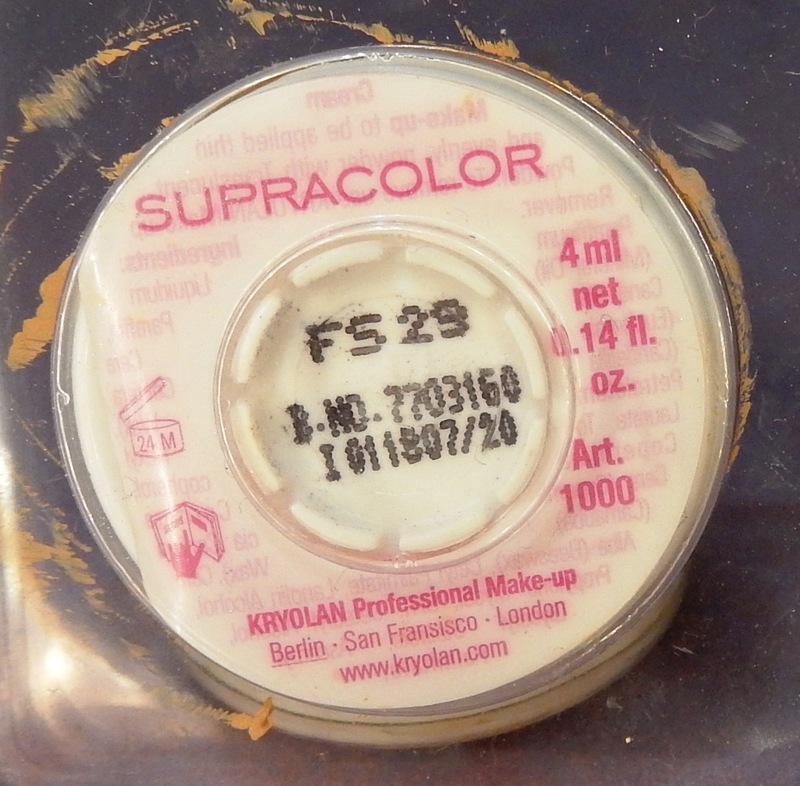 I use a mix of two shades, namely FS 29, which has a yellow tone and 626 B, which as a pink undertone. Always match your foundation well with the color of your facial skin before investing in any foundation. These were priced at INR 800 each when I bought them, today I guess they will cost you about INR 1000 each, and I haven’t even finished half the quantity yet. If the size and quantity of the TV Paint Sticks is too much for you, then these refills of the Supracolor palette are the perfect things for you. The Supracolor palette can be found in almost every pro make up artist’s kit and contains pigments for all shades of skin. The entire palette range starts at about INR 3000 and you obviously don’t need a whole palette. So match your skin, know your shade number and buy these refills which are priced at INR 200 only! You are good to go for another year with these. And because they are about the size of a coin each, they are very travel friendly. So a concealer from this range is bound to be kickass! My orange toned creme concealer from Derma Color hides and covers my grey dark circles, acne marks and discoloration around my mouth. 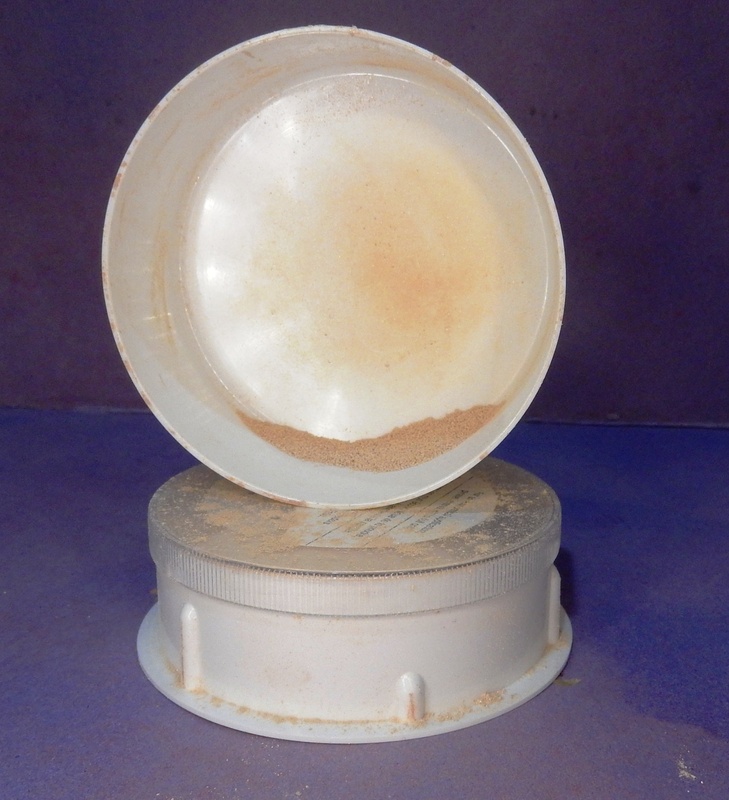 This is an extremely light translucent powder which sets make up and locks it in. I use it on my face after foundation and contouring. This is my go to compact on days when I am not going full blown foundation on my face. I apply this on my face with a sponge and buff it in with circular motions with a stippling brush. It gives my face a bright and fresh look and stays on for quite sometime. I barely touch this up unless its a long or hot day. In other cities of India and abroad, where there are proper exclusive Kryolan stores, you get the option to customise your palettes. But in Calcutta that option is not available yet. This was a set palette I bought and really loved the colors. I dropped the palette recently and the color Timber shattered. It was a very nice topey shade of very light brown with a pink under tone. 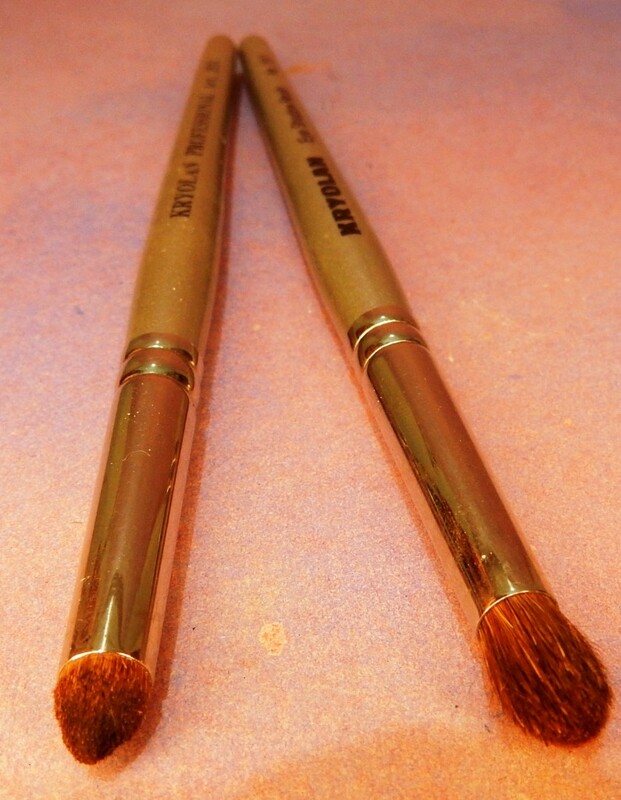 All the shades are matte and the dark brown shade numbered 101 is great for contouring. You can use these as blushers as well as eyeshadow! In fact I do my day look using this palette alone! 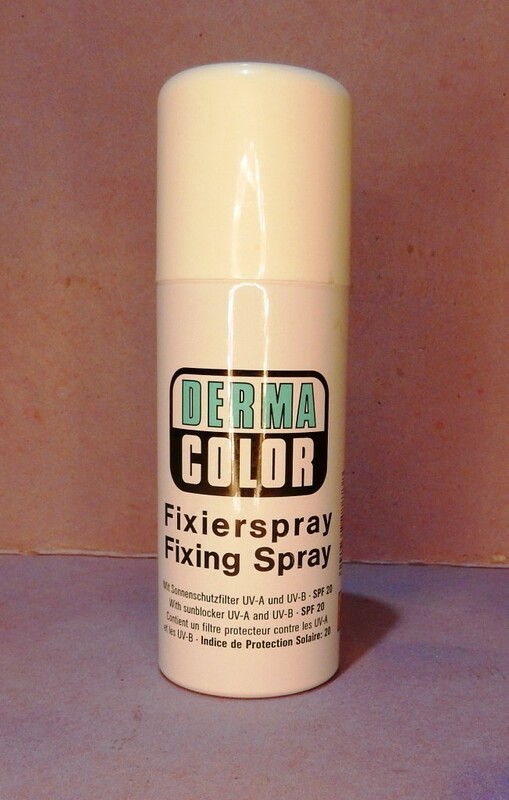 I cannot live without this fixing spray. Period. It absolutely locks in make up and makes it last very long. at least four or five hours longer. Spray it from and an arm’s length away on to your face and forget about touch ups. And because it has SPF 20, I sometimes simply spray this on my bare skin and leave home. My face looks dewy, but without any traces of stickiness or oil. 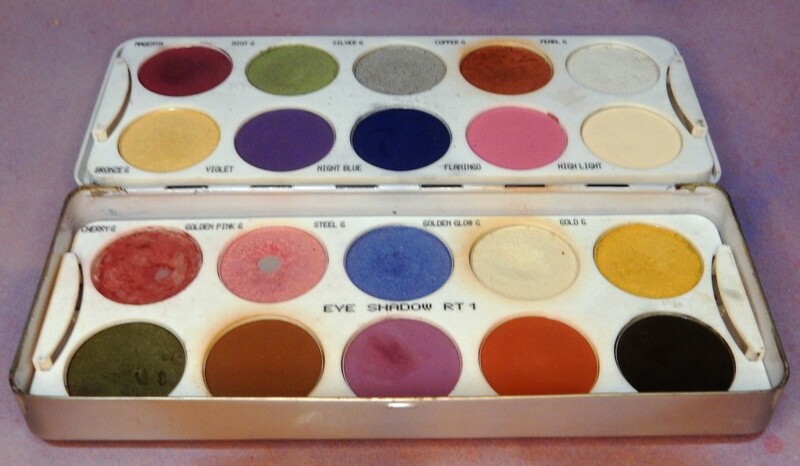 KRYOLAN Eyeshadow Palette INR 3750. My double decker eyeshadow palette from Kryolan was pre customized and has twenty shades in very varied colors like night blue, mint, magenta, pearl gold, bronze gold, copper, golden pink etc. INR 3750 might sound a bit to steep for a single palette but this is actually a good bargain because you are getting a broad range of colors unlike other palettes which have a cluster of pigments from a single color group. There is enough product in the palette to last you a decade! 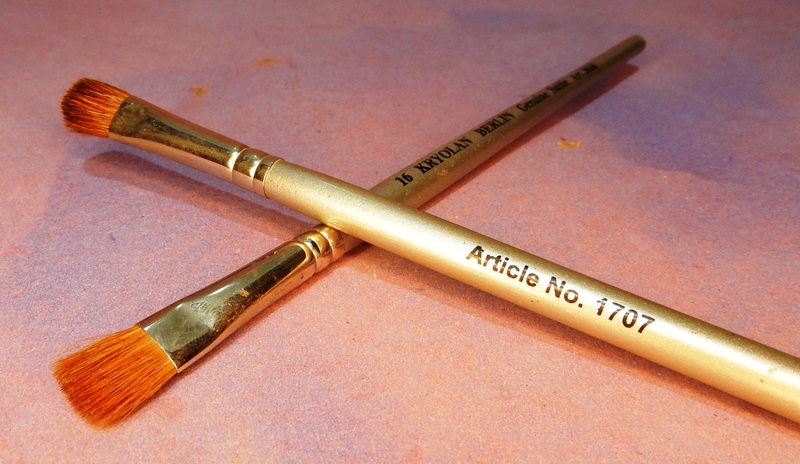 If you know how to hold a paint brush, you are going to love this eye liner. The Kryolan Cake Eyeliner is one of the blackest of black eye liner I have seen. 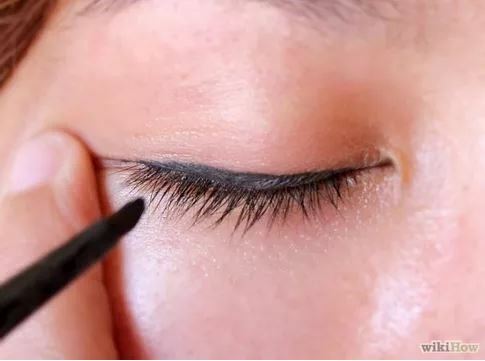 Its water activated but its best to use the Cake Eye Liner to activate and use it. The eyeliner is completely smudge proof and doing a classic winged eye liner has become so much easier with it. The eye liner sealer is like the Inglot Duraline, with the help of which you can convert any powder pigment into an eye liner, increase the intensity of eye shadow or revive your dry mascaras. 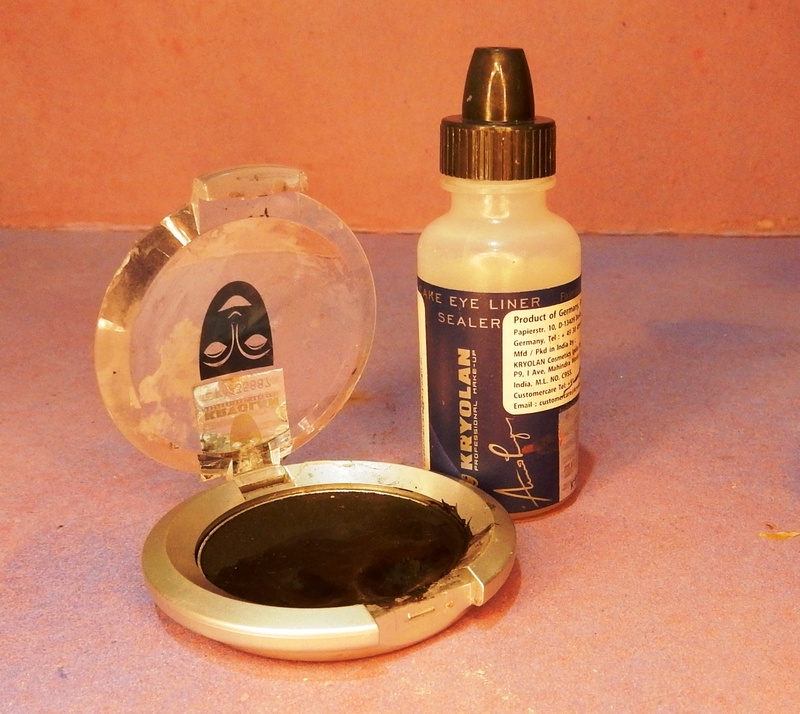 Kryolan Cake Eyeliner and Sealer. Another value for money palette, this lip color palette contains sixteen shades of lip colors in reds, browns, pinks, nudes and corals which you need to use with the help of a brush. It is small and very light weight so it becomes really easy to carry around as well. So I went to the store looking for a highlighter for my face but came back with this chalky shimmery beige face and body powder instead and boy what a great decision was that! 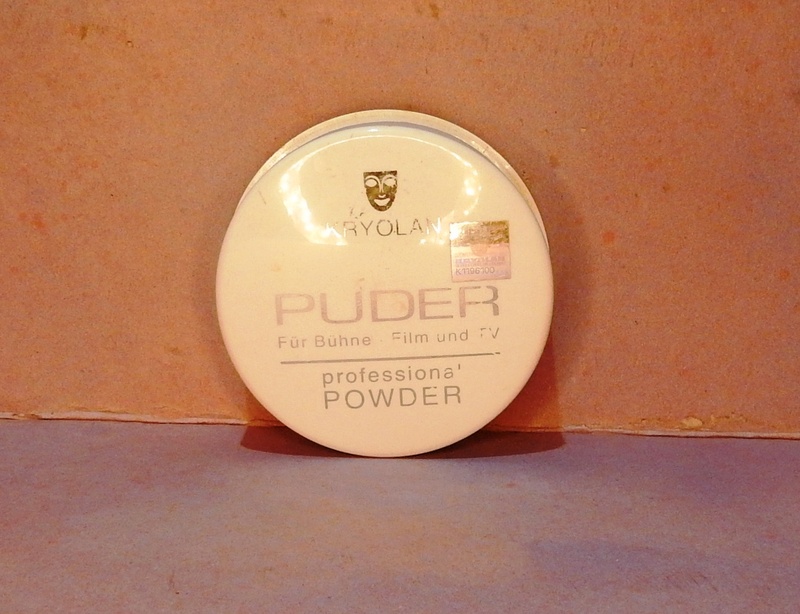 Its a great body powder to add shimmer to your body as and when required but I use it on my cheek bones, on the bridge of my nose and forehead and it reflects light so well! I will probably never run out of this product. Its a humongous box. 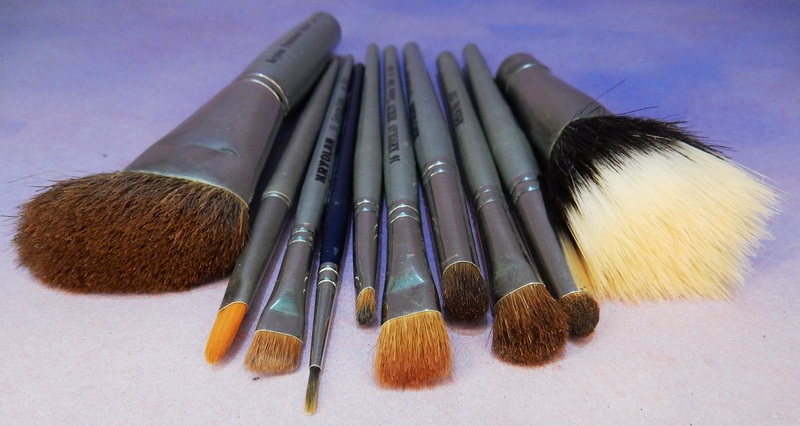 What would I do without these brushes?! The quality is top notch and the pricing is unbelievable! Ideal for buffing powder foundation or compact into the skin and for applying liquid foundation to achieve the airbrushed look. 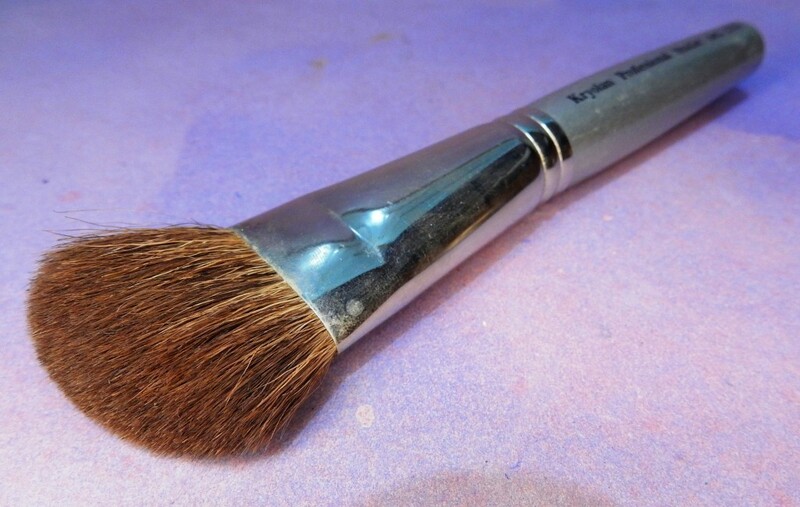 Angled thick brush perfect for contouring. The lip brush is from the premium range and not only do I use it for the palette, this brush comes handy when I need to line my lips and I don’t have the same color of lip liner as the lipstick. So I simply dip it into my lipstick and outline my lips with this. My best friend for smokey eyes!! 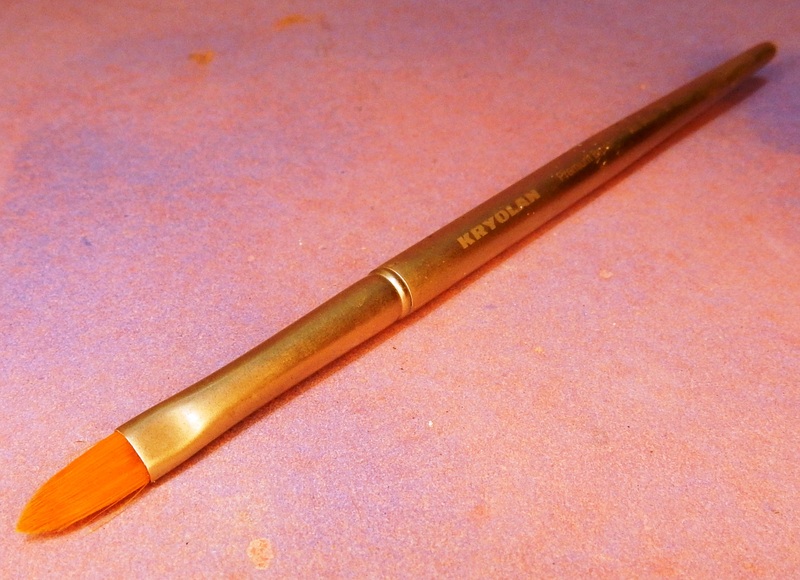 This small tiny pencil like brush helps blends my lower lash line colors magically! 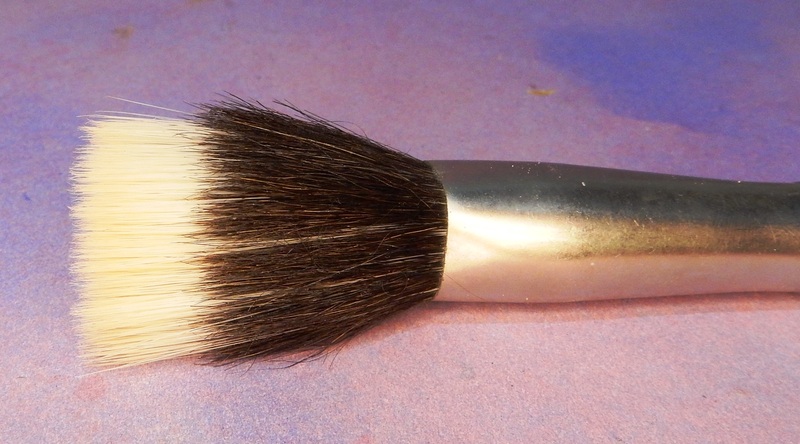 There are various sub numbers in this range and this brush is a number 6. The Eyeliner brush. 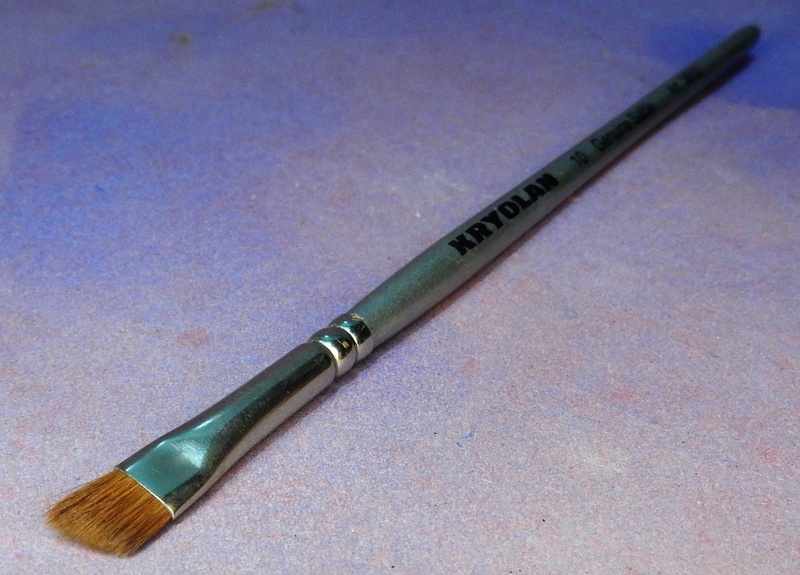 Doing a winged liner using this brush is a cakewalk! These are not necessary unless you are a make up artist or a psychopath hygiene freak. But a spatula and mixing tray come in handy when you need to mix in shades of foundation or mix pigments together. its actually helpful tool if you into heavy duty technical make up. So this was my exhaustive list of awesome products from Kryolan. If you want to buy genuine Kryolan products in Calcutta, then there is only one authorised retailer of Kryolan, which is located oppostie Shri Shikshayatan College on Lord Sinha Road, called “Perfect 10”. Buy from elsewhere like New Market at your own risk. My job involves me being on stage and television quite a bit (I am an anchor and spokesperson fyi,). It also means that I have to be constantly exposed to strong and harsh lights. To look good on screen and protect my skin at the same time is very challenging and KRYOLAN is one brand which has not just saved me plenty of money (which I anyway have spent on food) but has also helped me look very presentable, well groomed and glamorous, and keeping my skin safe, all at the same time! When I was starting out, more than five years back, I had no clue about make up or cosmetics and was completely dependent upon make up artists every single time. Now in the very initial stages of my career I obviously could not afford to hire a very high end experienced pro make up artist who would maintain strong hygiene standards and most of the time I was being worked upon by someone who was using dirty sponges and brushes and local brands I had never even heard of! In just about three months my skin began deteriorating. I was breaking out a lot and had developed skin issues like patches and severe acne. That is when I turned to YouTube and started watching make up tutorials in order to take things in my own hands. I was experimenting with brands like Maybelline, Loreal and Lakme but was dying to use professional products. The only other professional brands available at retail outlets in Calcutta at that time were M.A.C and INGLOT which were too expensive for me, and there were not really a lot of online shopping options back then. 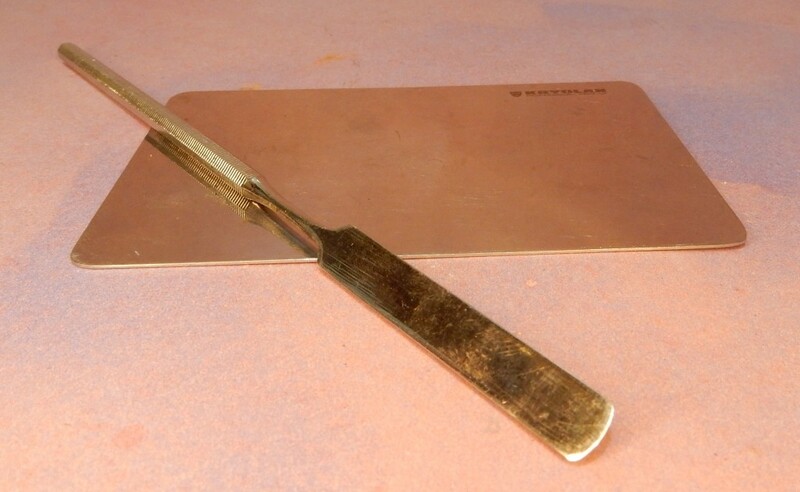 It was at that very time when gel nails were the rage in town and everyone was getting them. I had to get them too and so I walked into this nail salon on Lord Sinha Road called “Perfect 10”. That salon also happened to be the only authorized Kryolan store in Calcutta! I had only watched YouTubers going gaga about this brand from Germany and until then I did not know that there was a store in Calcutta as well! The owner of the store, Mrs Rashmi Thakkar helped me choose the right foundations for my skin and my life literally changed that day. 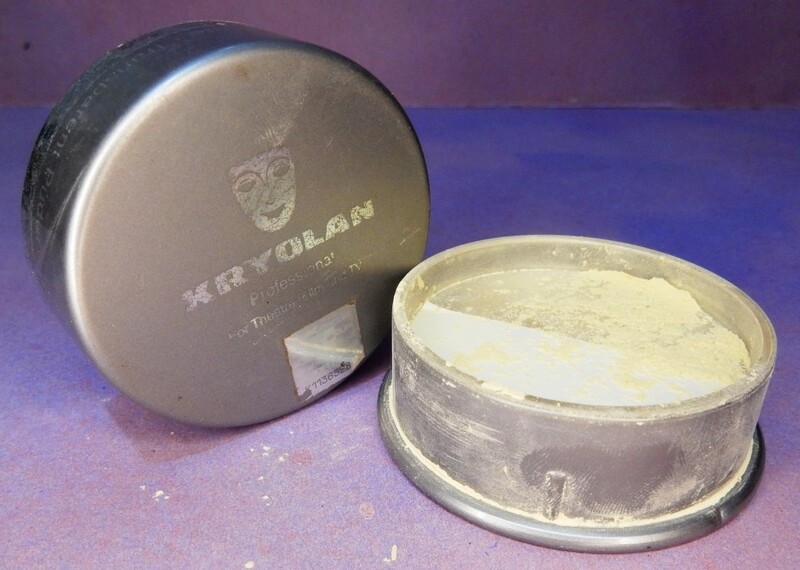 I was sold to Kryolan, forever. This is not a sponsored post or advertisement. Just a genuine ode to a badass brand from a very content and happy consumer. Next post: Pink Eyeshadow + Contour + Highlight + Full Face Foundation Tutorial ! Great collection you have. Koto taka j ami foundation kine nosto korechi ki bolbo. Everything looks grey or ashy on me. Thanks Shampita! If your foundation looks ashy or grey then it means its oxidizing, i.e changing color after application. You could try the MAC Studio Water weight foundation. One of its features is zero oxidation, meaning it stays true to its real color and doesn’t become grey or orange. It is sheer coverage and not buildable to full coverage though. Go to the store and try it and leave it on for a few hours. If it works buy it. It has SPF 30. Nahole Kryolan to achhei! If you find that it’s not matching you after a while but was definitely your skin match, trying putting on a primer first let it sink into skin and then put your foundation on. What that does is create a barrier between your skin and the foundation and it should not oxidize(darken) after that. Usually oxidization occurs when our oils mix with the foundation which inturn makes the foundation change color. If it still changes color,then try a different foundation. Good luck! Thanks for the review! !..trust me ..i have been searching for a review from a calcuttian for such a long time…and thanks for mentioning the location of the kryolan store… 🙂 but i have still a question left..is there a make up remover from kryolan? Hi Suparna! I am glad you liked this post! I am not sure about the make remover because for the last few years I have only been using baby oil to remove my make up, so I never really bothered to find out. Personally, it works best for me. Sorry to bother you again Kirti..but is it true that serum can be also used as primer? Actually..m a student and for me primers from kryolan or l’oreal are too costly to buy( thanks to my pocket money..:P)soh yeasterday when i went to a nearby beauty store they handed me a serum of lotus herbals..so is it ok to use it as a primer? Hey suparna I am always happy to help! A face primer is actually nothing but a moisturising barrier between your skin and the layer of make up that you apply. A primer is necessary because it prevents the chemicals from the cosmetics from penetrating deep into your skin and causing permanent damage at the cellular level. 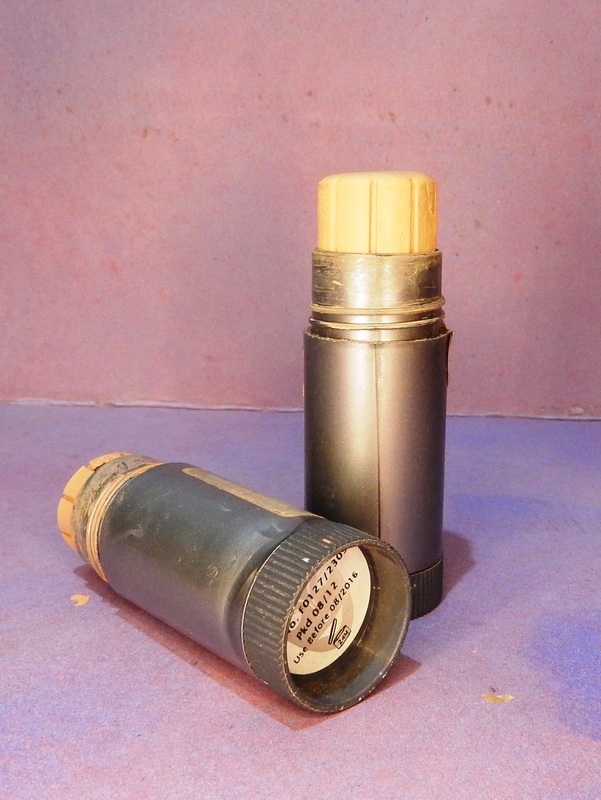 Some primers are designed to compliment and accentuate the look of foundation as well. 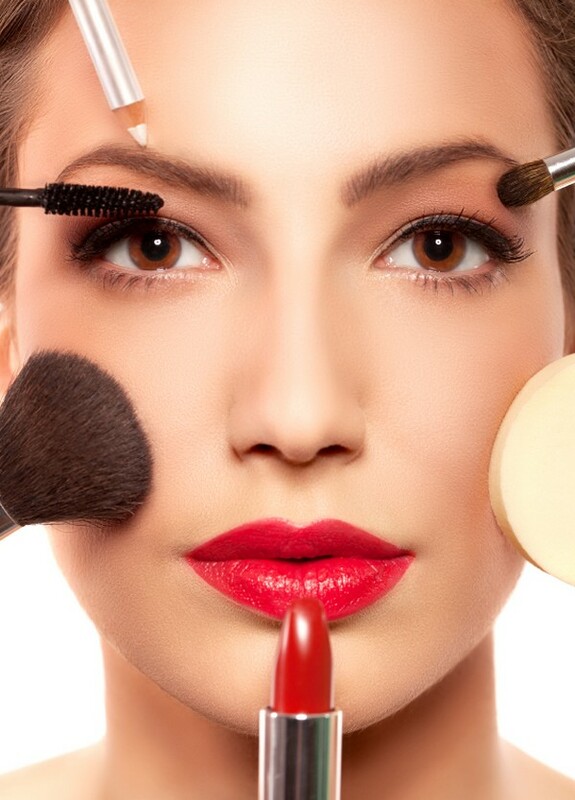 It completely depends upon your skin type and the amount of make up coverage you are going to use. 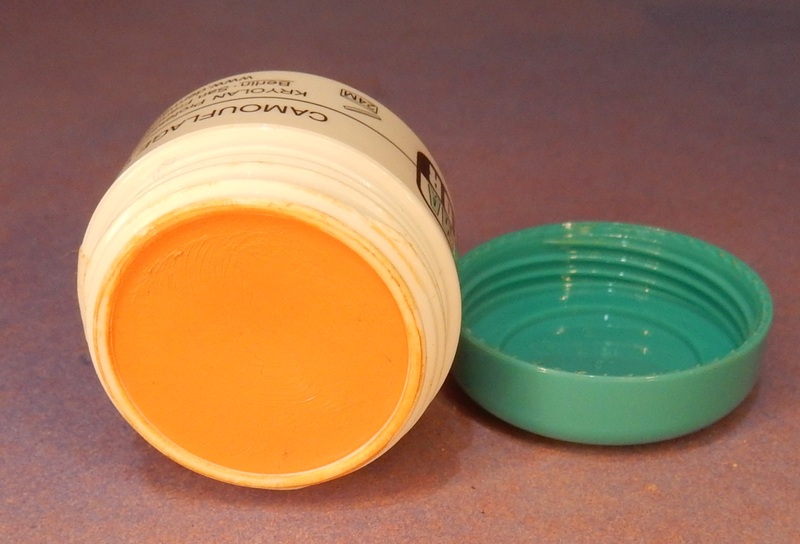 Lacto calamine is actually a good primer for foundation because of its white tinge. You can actually use any kind of good quality moisturiser as a primer. If you have oily skin, use a gel based serum like the one from lotus in case you have already bought it. It is important to let your primer/moisturiser to soak into your skin for about 5-10 mins before you apply foundation .So dot your primer or moisturiser on your face and neck, dab and blend with your fingers and then do your eye make up or wait for 10 mins and then apply foundation. Hope this was helpful! Feel free to ask any questions! Thanks a loooot for ur helpful reply Kirti!! i cant tell u how confused i was till i read your reply…now its pretty much clear to me..:) THANKS A TON!!! I am happy I was helpful to you! Hi! Thanks a lot for the review. Do you know if any other malls or stores preferbaly in New Town – Rajarhat area sell Kryolan producs? I’m looking for the KRYOLAN DERMACOLOR CAMOUFLAGE CREME. Hi Umika, Glad you liked the post! To the best of my knowledge, there is only on authorised Kryolan seller in Kolkata which is at Lord Sinha Road and it is unlikely that there is another authorised store here. There are a few shops which sell products from the brand but they get their supplies from this store itself. Because every time I have visited this store I have seen people come and pick up bulk size orders. So I guess you will have to go to Lord Sinha Road to get your concealer. Hi kirti…..! I am new in Calcutta…I want to buy kryolan supracolor but don’t know any makeup store address in calcutta…plz suggest me…. can i use kryolan supracolor range as a concealer specially under eye? Apologies for the late response. Yes surely you can use the supracolor pigments as concealors. Just make sure to pick out the correct shade. Hi Kirti I use FS 28 in TV paint stick . Can u tell me which undertone do I fall. Pink or yellow?? Actually the store person selected the shade for me and it suits me well. Also I wanted to know if I can use it regularly? ?